The most recent outing to Hickory’s Smokehouse will be named the trilogy as it’s the third time I’ll be dining with one of their ‘Authentic American’ burgers. But how authentic are they? 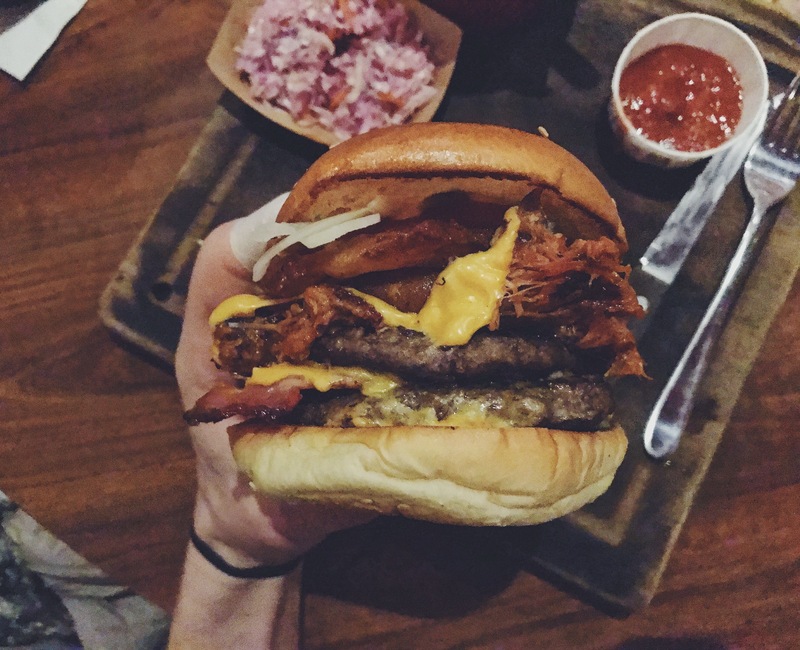 This burger was extremely vocal on the menu, towering over its competitors with endless flavoursome ingredients. This isn’t the first time I’ve tackled such a tall, strong burger so I have experience with being able to consume it without a disastrous mess. Even with that, this burger fell apart almost instantly. Trying my hardest to disregard the total shambles that was the construction of this burger, the ingredients were very pleasant. There were a lot of taste experiences, the onion ring wasn’t chewy with a crispy consistency, the 2 burgers were cooked well, and the cheese that lay upon them helped greatly. 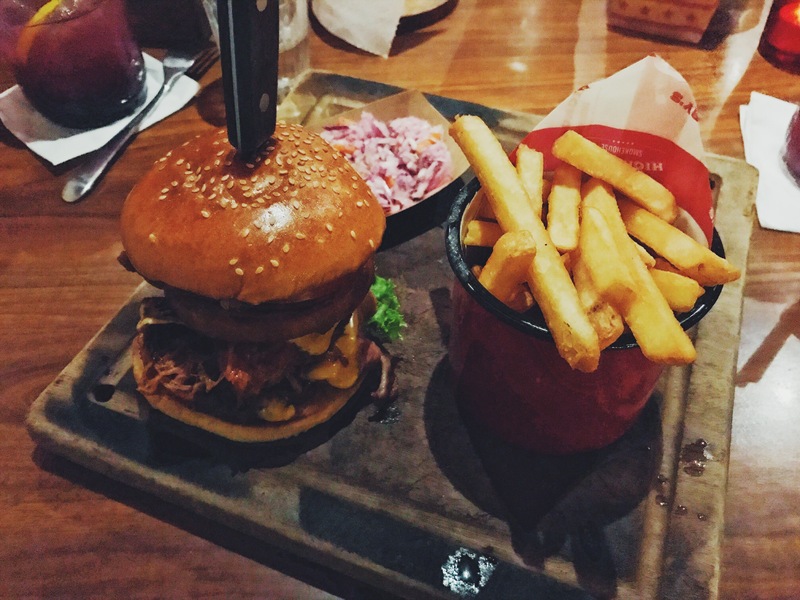 In my opinion the pulled pork played no part in this burger and should be removed immediately, but overall a decent burger. Burger Rating; an 5 out of 10.